Secure Planning Strategies was founded by Minoti Rajput, CFP®. Early in her career, she focused on the financial planning needs of affluent families and business owners. Though passionate about her firm and clients, she couldn’t help but feel something was missing. In 1989, within the span of a few months, she had the opportunity to work with three families who had special needs children. With a family member herself who has special needs, Minoti felt it was a sign that serving these families was her true calling. Over the years, she learned the government rules and regulations, as well as the legal and financial needs of dependent individuals, and began specializing in special needs planning. Today, more than 26 years later, Minoti is nationally recognized in financial planning for families with special needs family members. 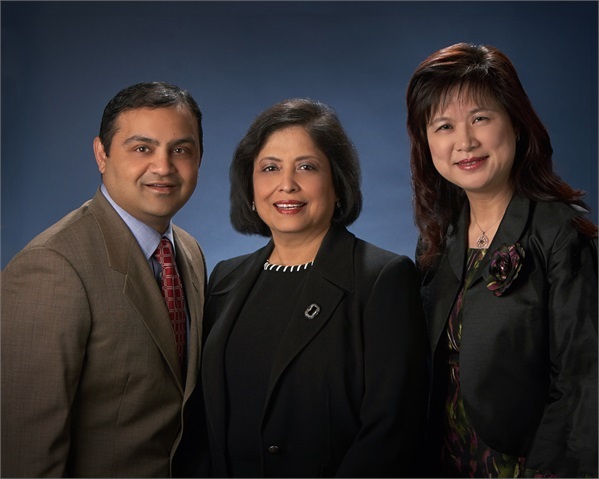 Minoti’s associates, Mehul Mistry and Elinor Ho, also work with the special needs population and take pride in helping families to become informed and empowered to ensure their loved ones are taken care of throughout their life. Both Mehul and Elinor provide valuable insight in helping to create unique estate and financial planning for their special needs clients. Secure Planning Strategies is dedicated to finding the right ways for families to plan and provide lifelong care for their loved ones. They have counseled more than 1,000 families, building trusted relationships and working closely with them for many years. Wherever a family is in their life, they can help them develop a strategy that addresses their unique needs for the long-­term.